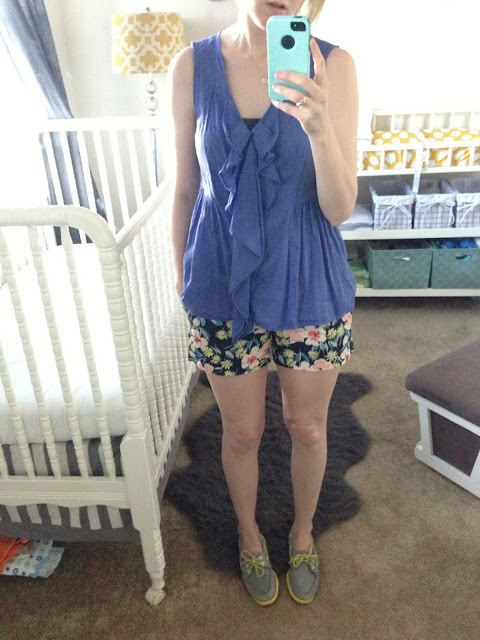 Here's another addition of nursery outfit snapshots. I can never think of what to title these posts because they are very random, but I think Mirror Mirror fits. Lately I feel my closet has gotten really boring. I feel the need to throw a ton out and start from scratch, but financially I've got to stick with what I've got. 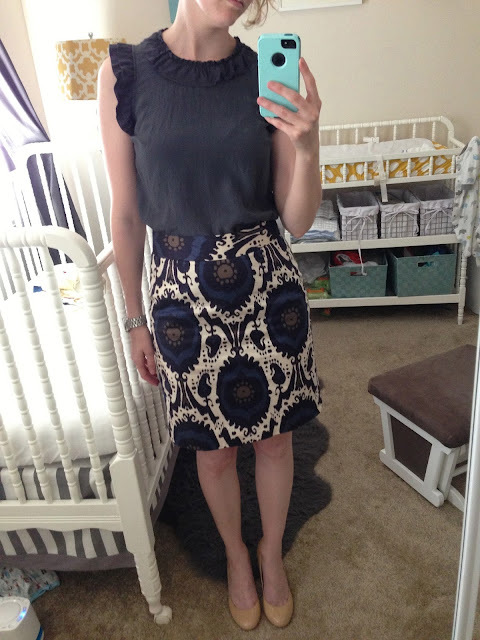 I was thinking about doing Kendi's 30x30 challenge, but then I realized I pretty much do that without trying. 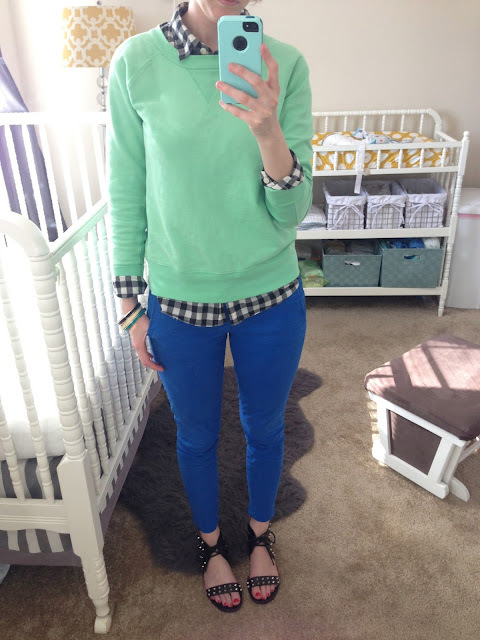 How do you mix up your outfits on a budget? Shirt: Forever 21. 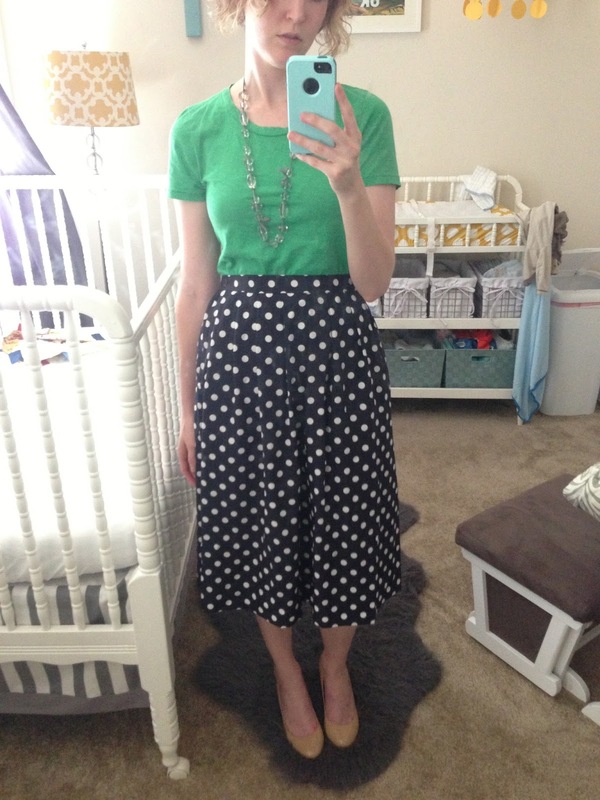 Skirt: Jcrew Factory. Shoes: Steve Madden.